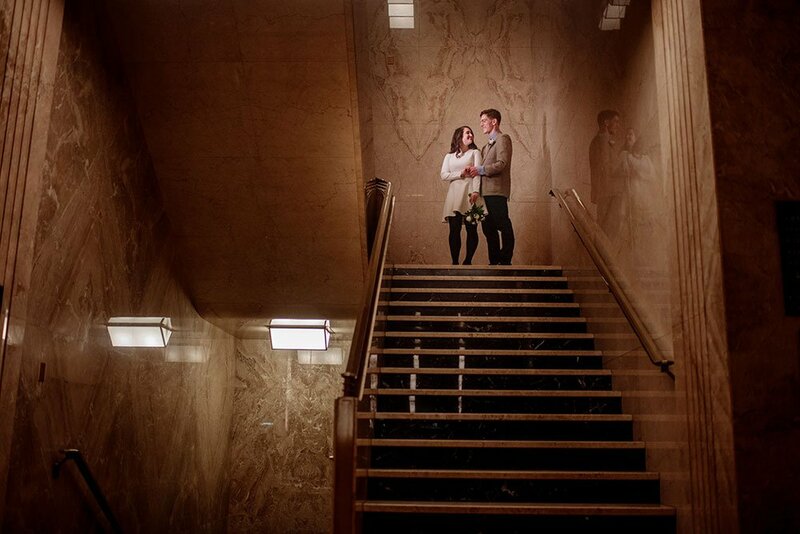 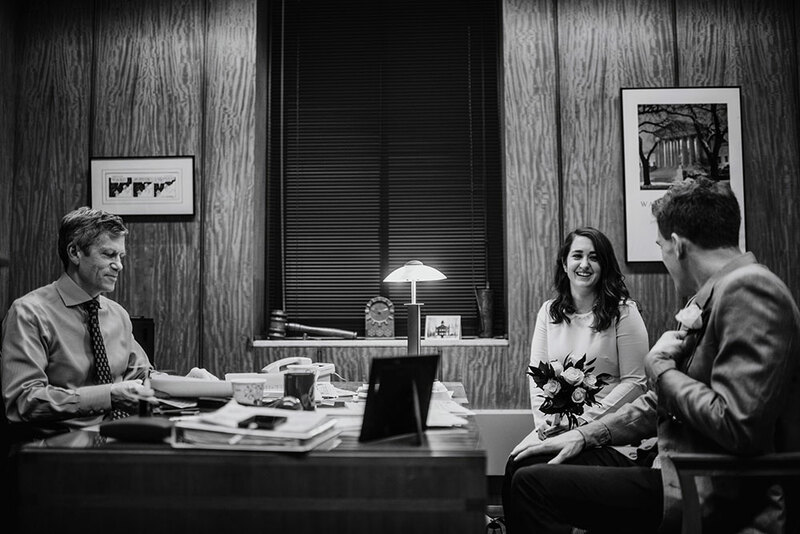 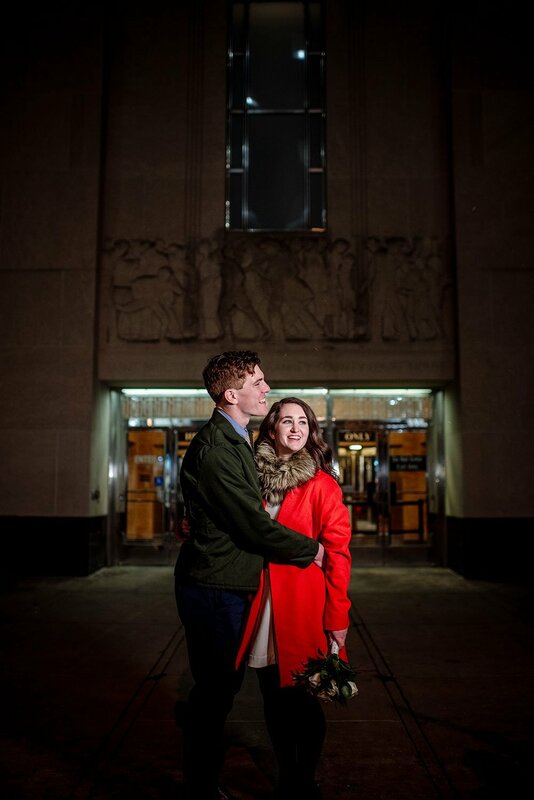 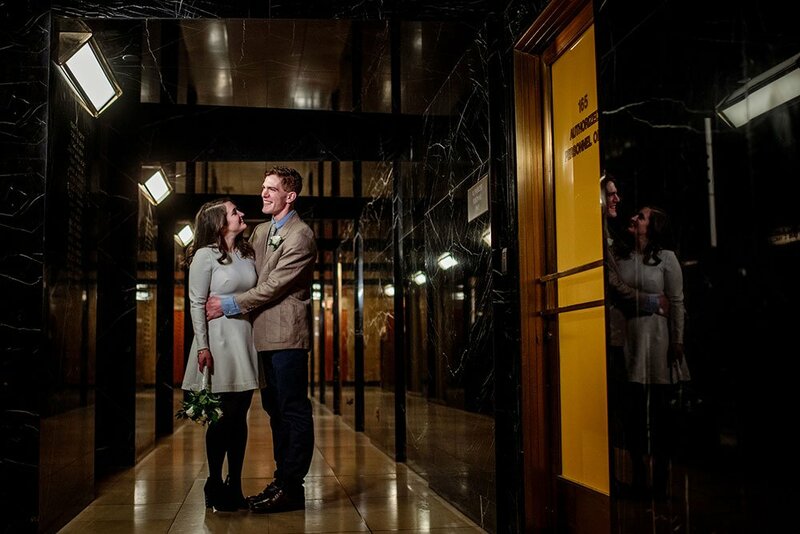 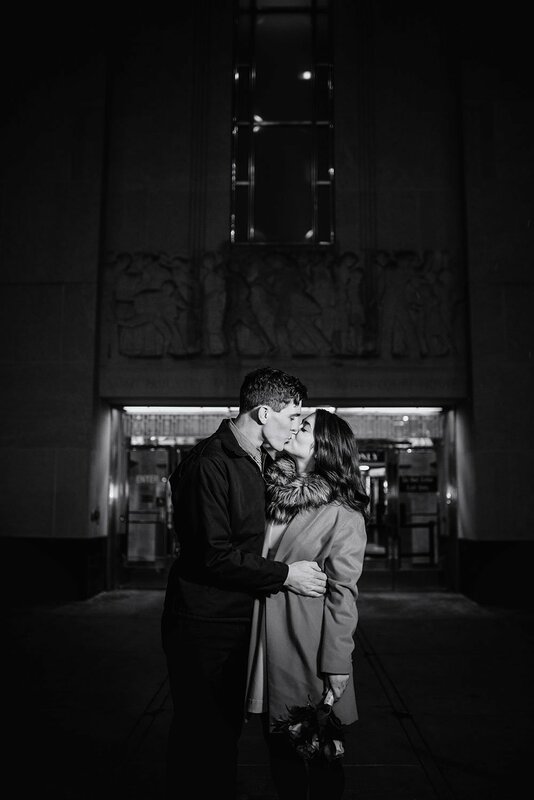 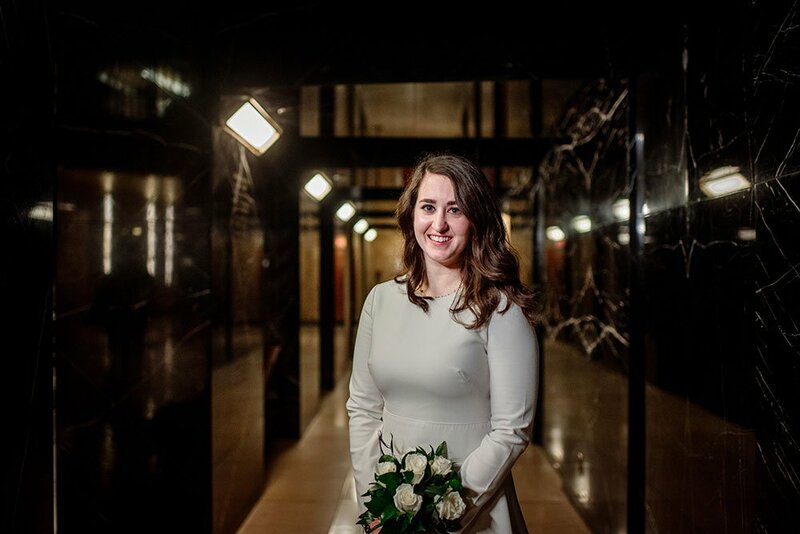 When people mention a “city hall elopement” you might imagine a combination of airy modern skyways paired with old dark offices. 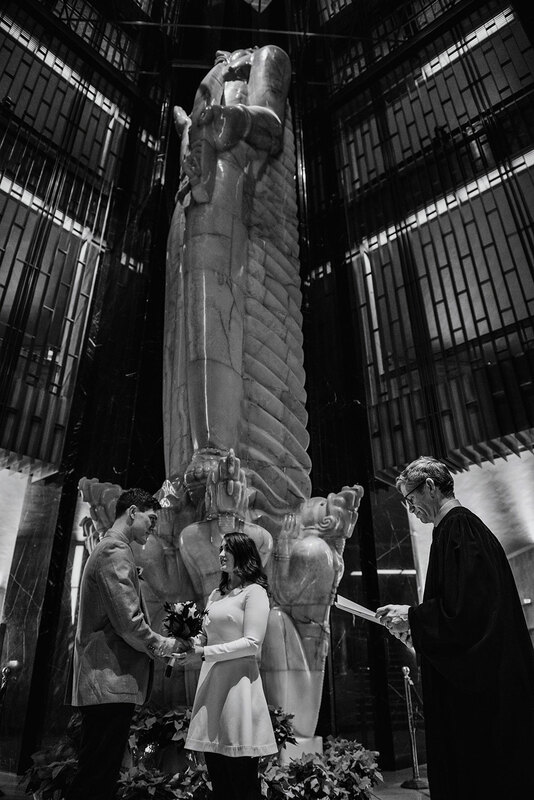 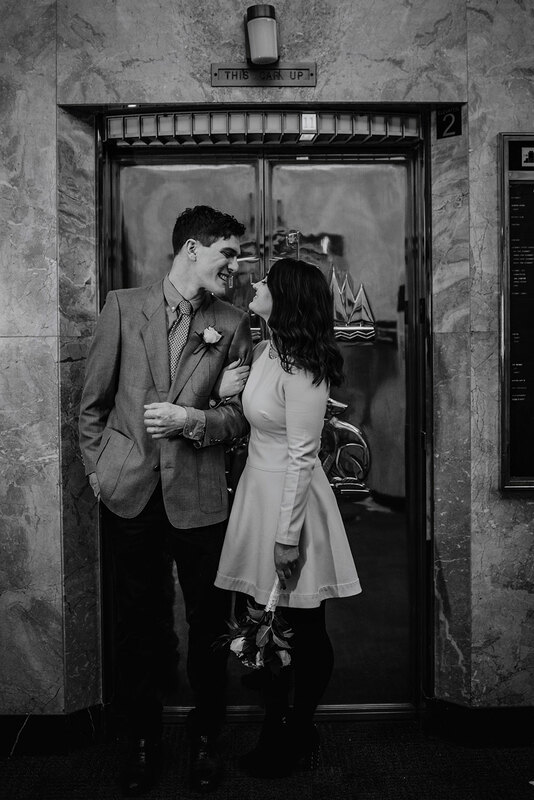 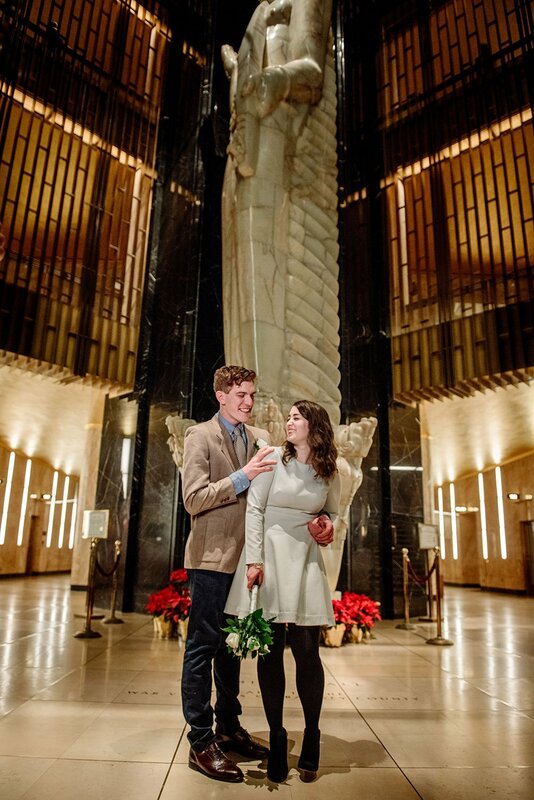 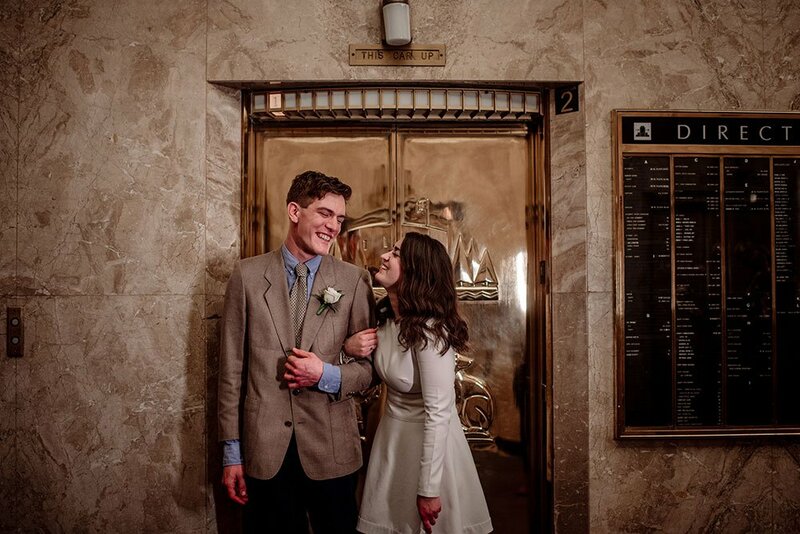 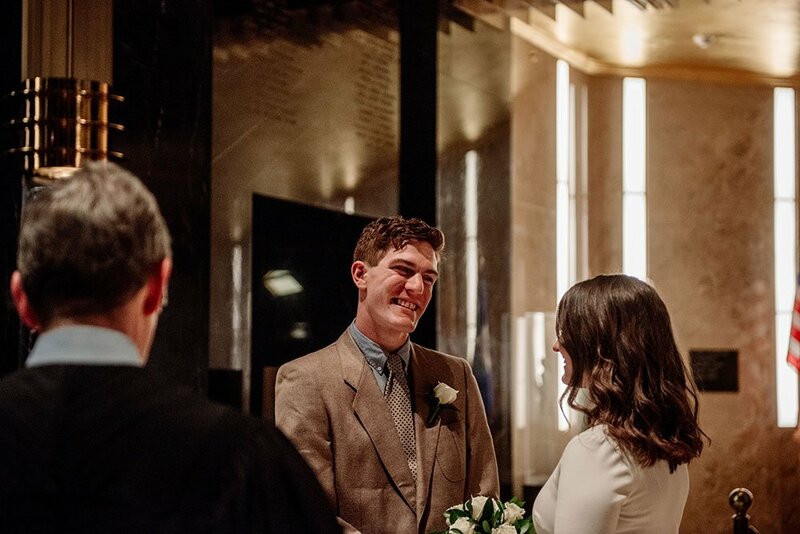 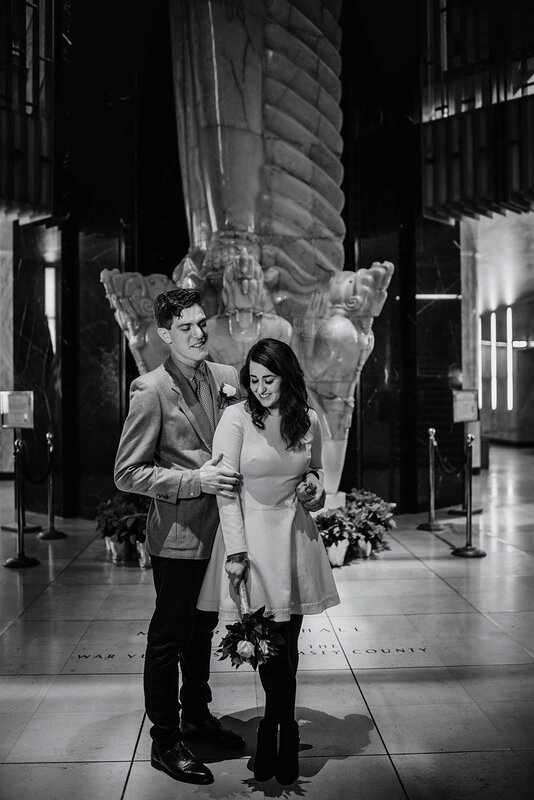 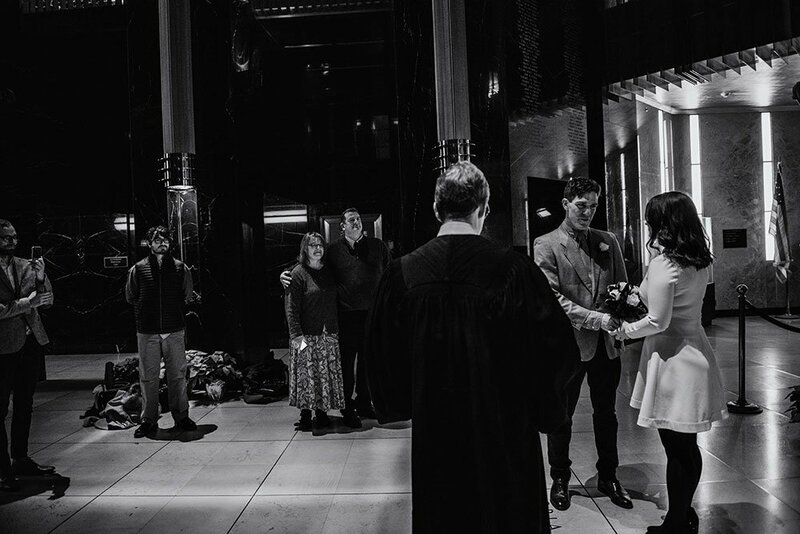 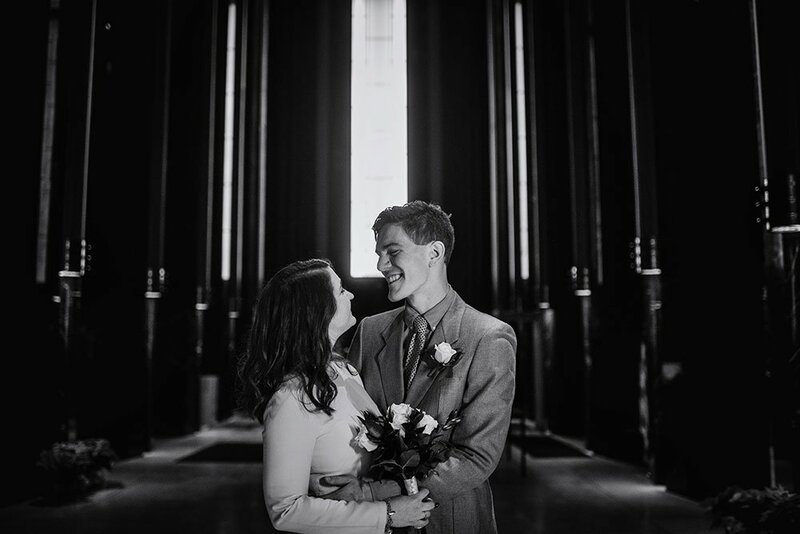 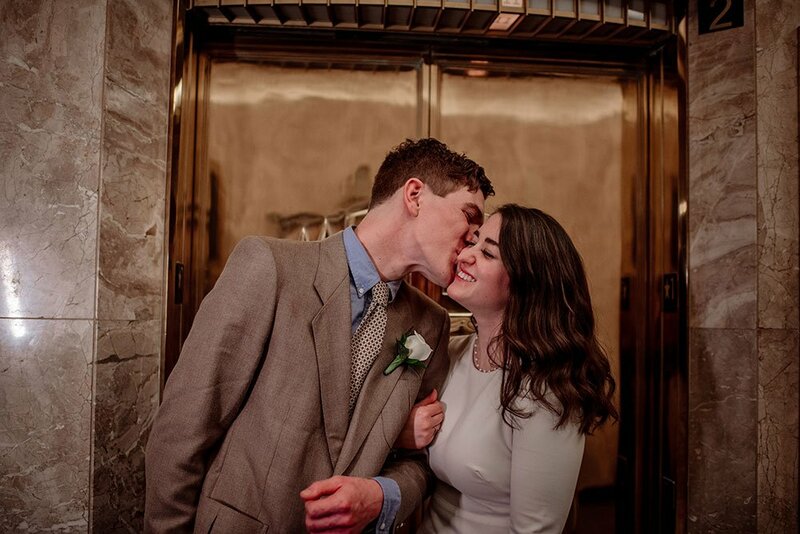 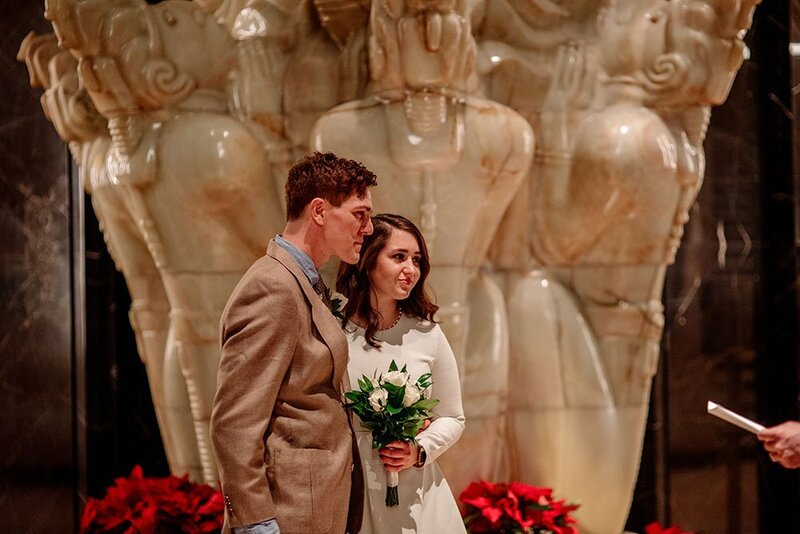 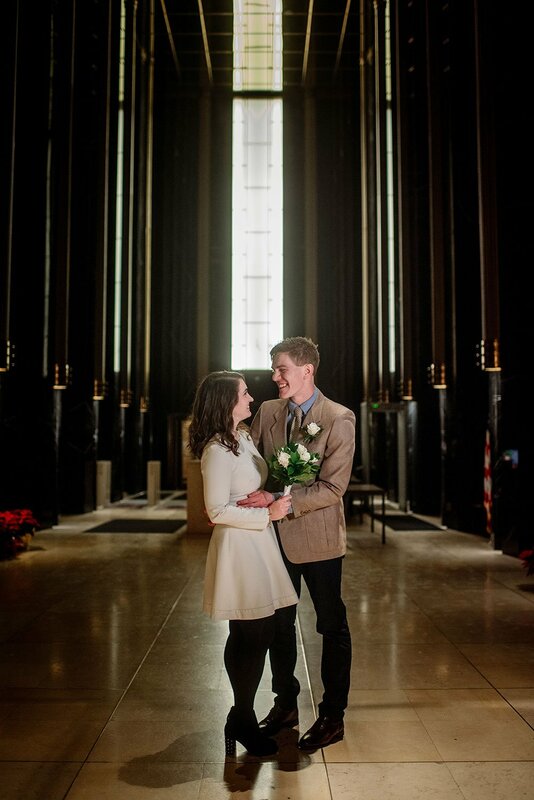 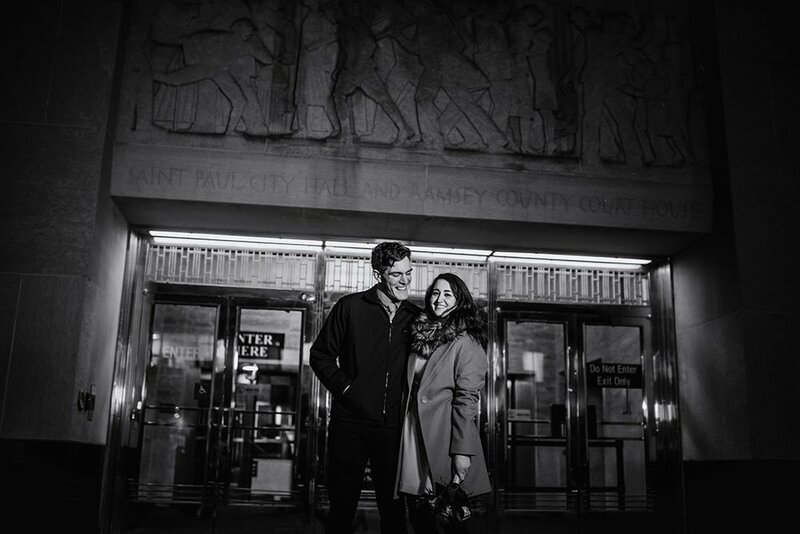 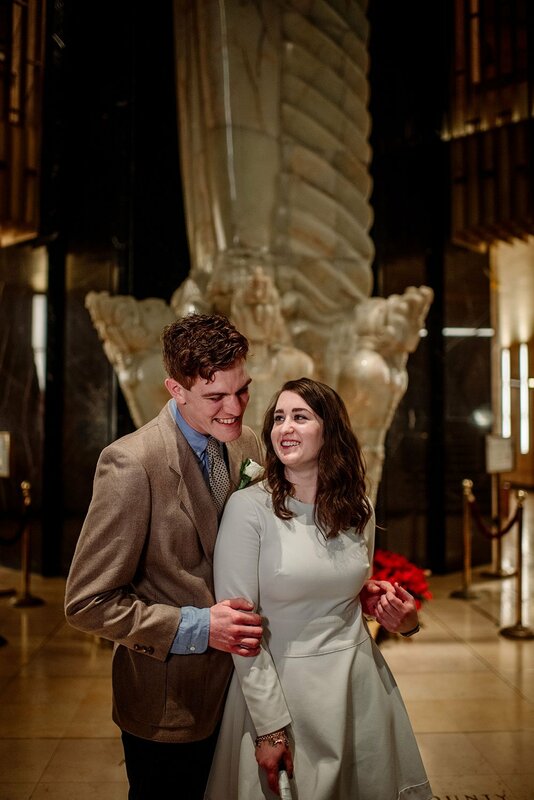 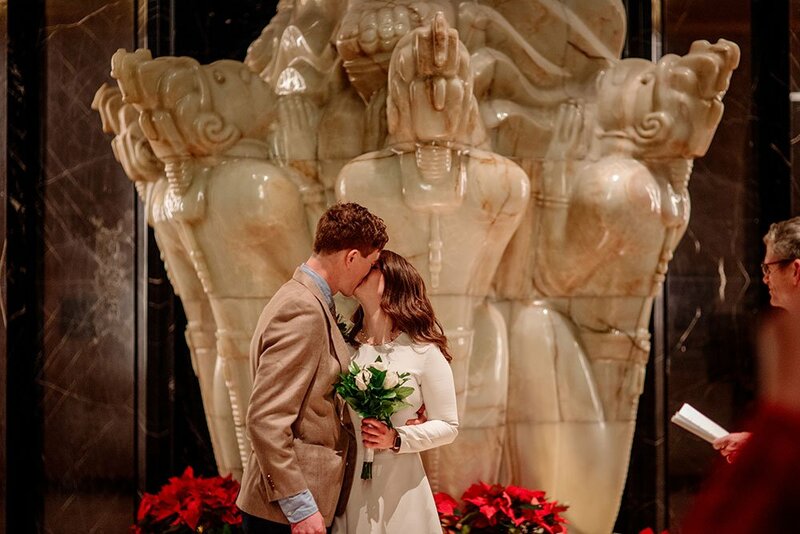 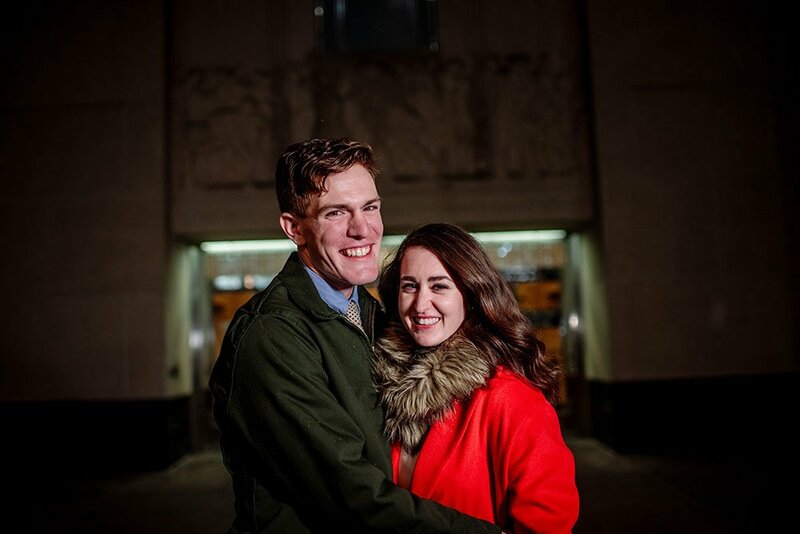 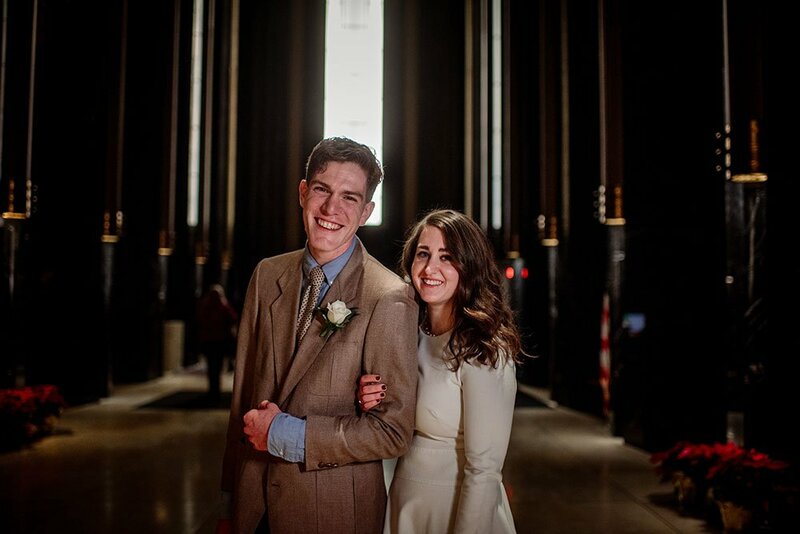 But one of the most remarkable buildings in Minnesota is definitely St Paul’s city hall, where Darby and Alex chose to exchange their vows in the breathtaking lobby. 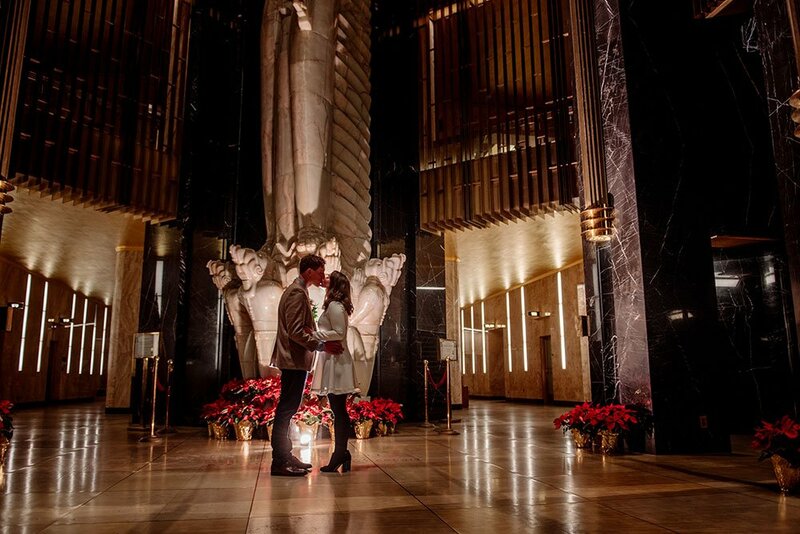 For some reason, this art deco moody masterpiece is stunningly in tact. 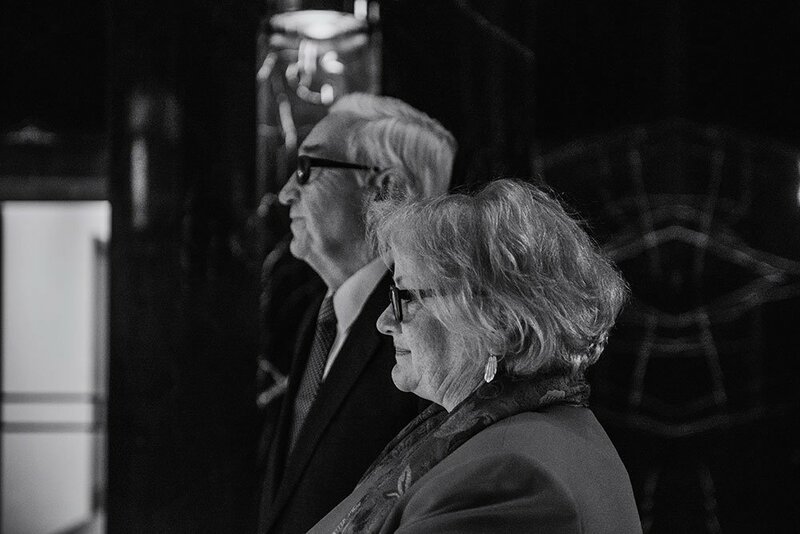 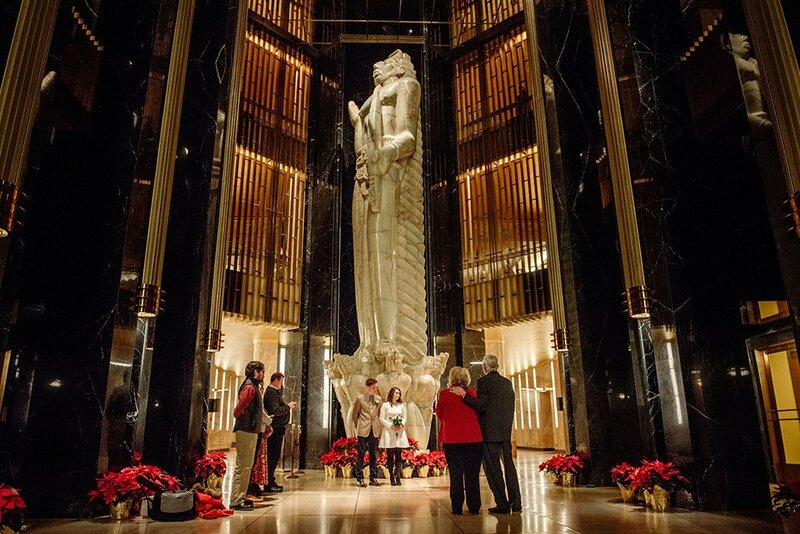 From the dark marble walls and gold mirrored ceiling to the intricate bronze and stone elevators, everything is in service to the three story Vision of Peace statue in the lobby. 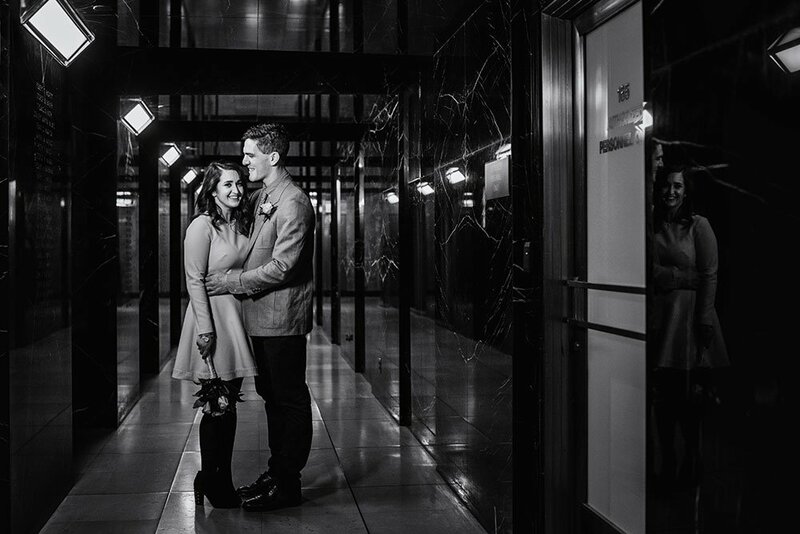 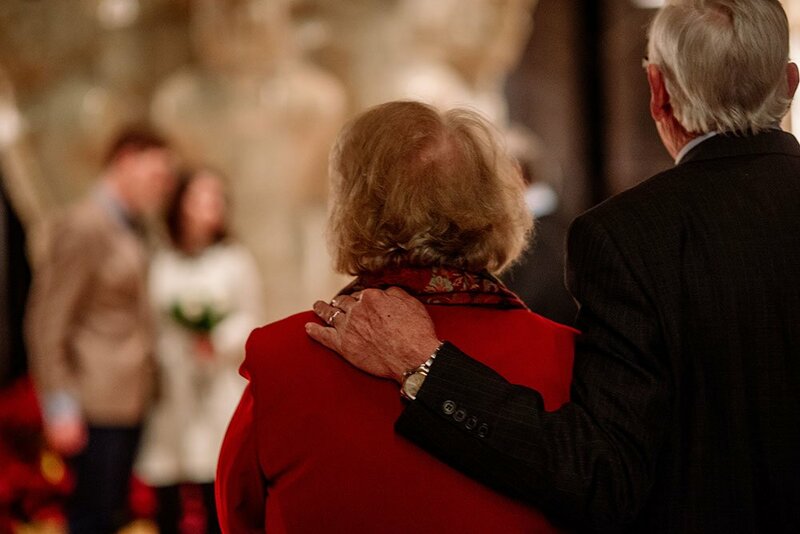 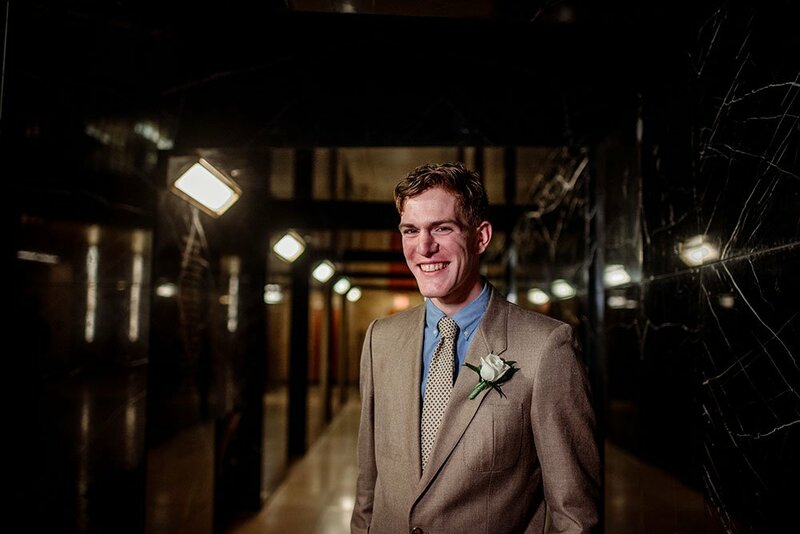 An intimate wedding brings its own importance, but it has even more elegant grandeur with St Paul’s City Hall.